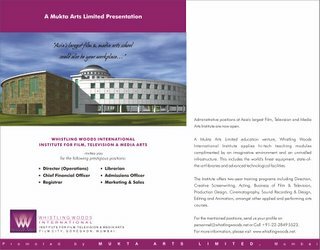 About a month back my company was appointed as the creative agency for Whistling Woods International – Institute for Film, Television & Media Arts. The work took some time to take off and we released the first ad for the institute last week. Media: DNA, Mumbai (DNA Academy).